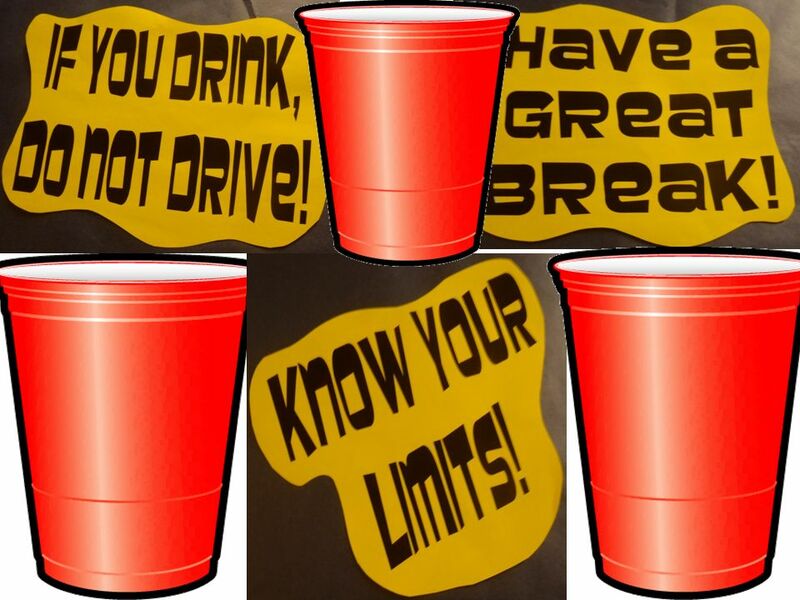 Alcohol Awareness Benjamin Cybul, Resident Assistant RiverPark Student Housing Columbus State University. 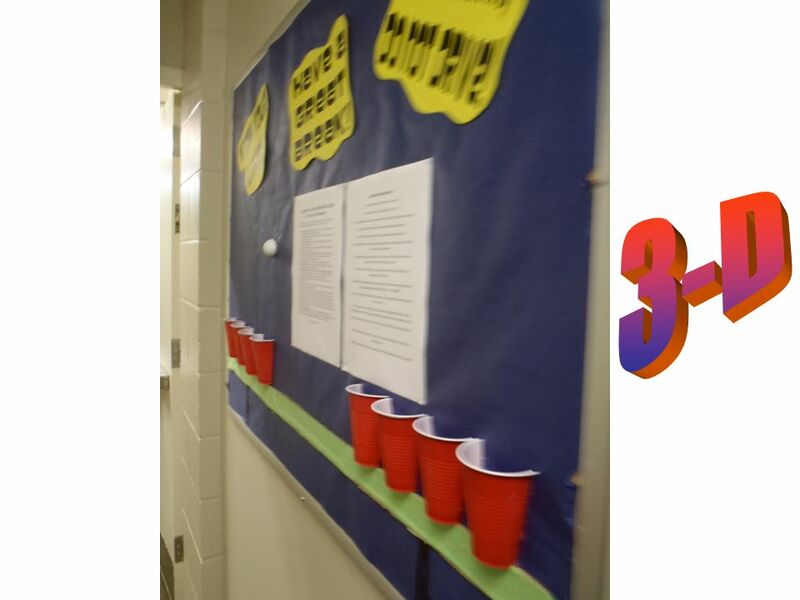 2 Appropriateness I did this board in a hall of upperclassmen. 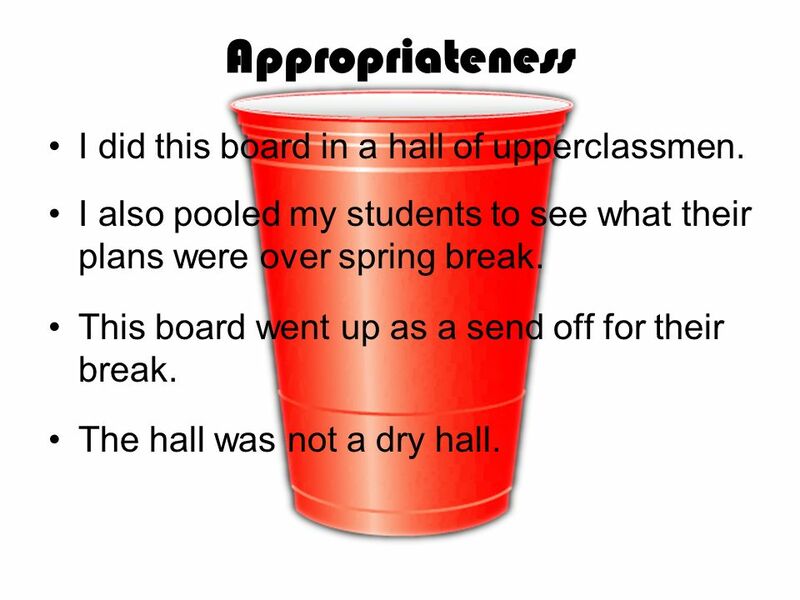 I also pooled my students to see what their plans were over spring break. This board went up as a send off for their break. The hall was not a dry hall. 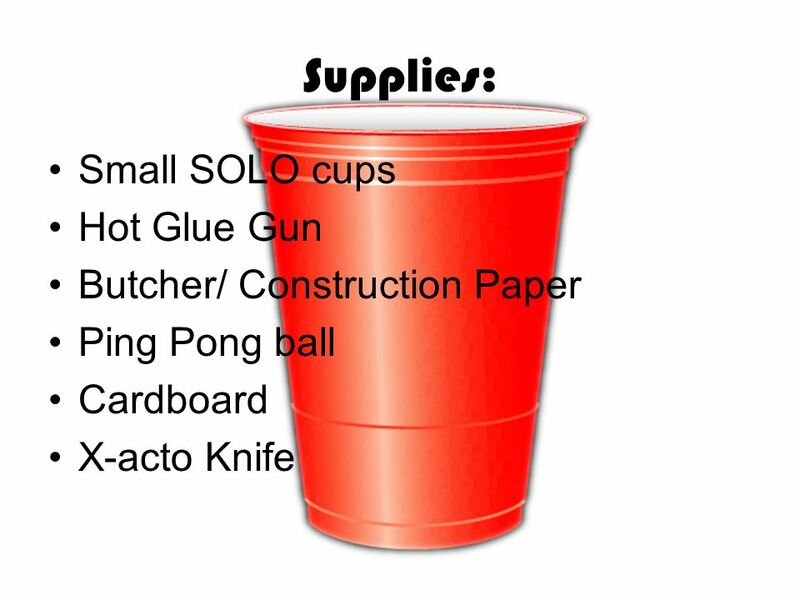 7 How To: Cut SOLO cups and ping pong balls in half with X-acto knife. 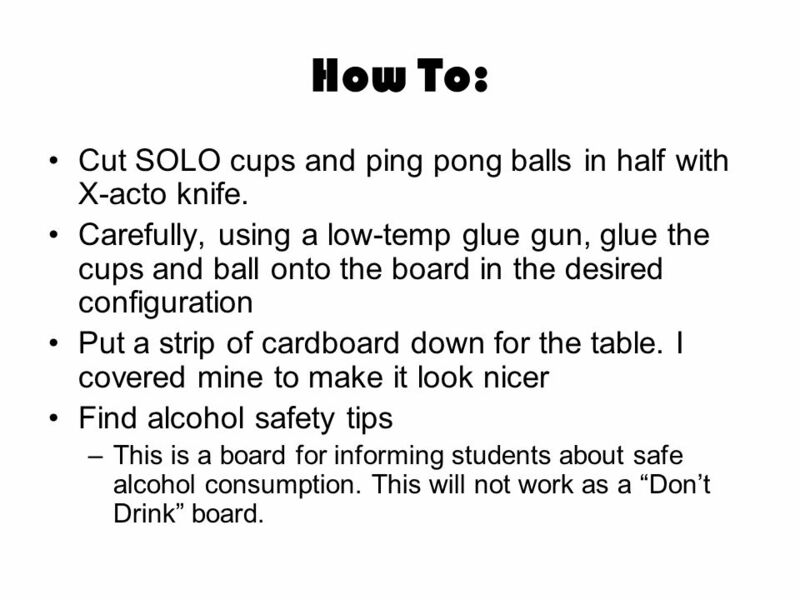 Carefully, using a low-temp glue gun, glue the cups and ball onto the board in the desired configuration Put a strip of cardboard down for the table. 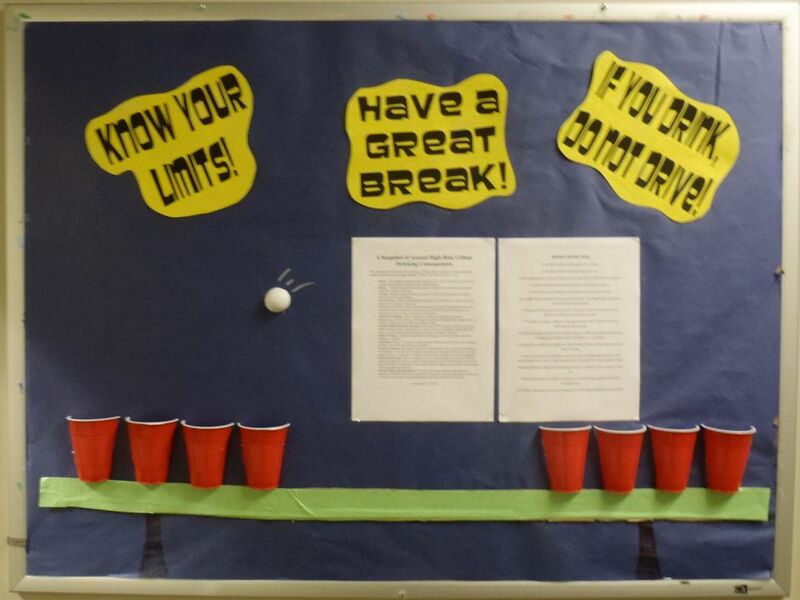 I covered mine to make it look nicer Find alcohol safety tips –This is a board for informing students about safe alcohol consumption. This will not work as a Dont Drink board. 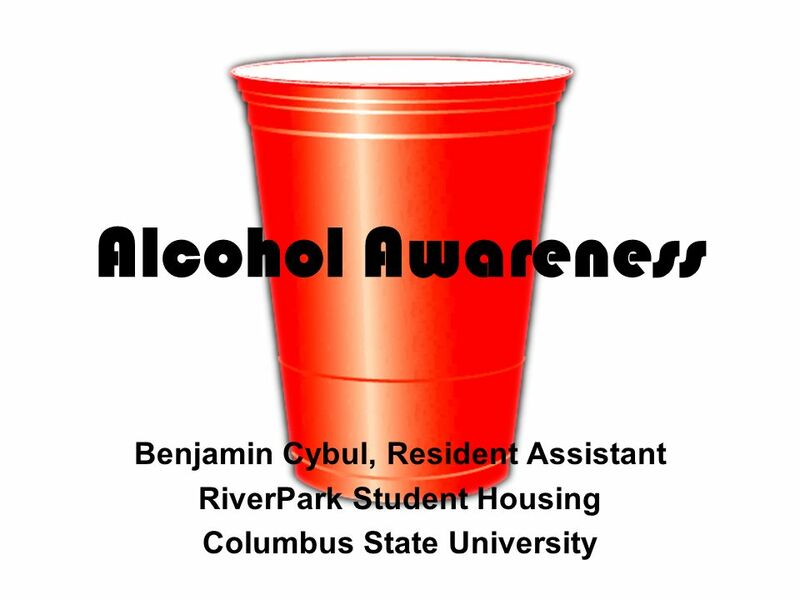 Download ppt "Alcohol Awareness Benjamin Cybul, Resident Assistant RiverPark Student Housing Columbus State University." Get Involved! Benjamin Cybul Resident Assistant, River Park Student Housing Columbus State University. Bardia Baheri Rotary High Voltage Motor Physics project. By: Kent Witana. I designed what it would look like I wrote down what I needed I went shopping for the things I needed(material, spray gun,spray paint,spray. Expedition Talia Matthew MARS MARS. The Real World Door Decoration Idea Amanda Drew Resident Assistant Anna Maria College. 9-3 Project Project 1. What Will Keep Me Frozen Testing the effectiveness of different materials for insulating. Drawing & Painting Final Exam Book-Making Instructions. Peek-a-Boo Box Construction Mrs. Nadine Allen Pearson Elementary. Beginners Props!. So, props eh? This is a guide to get you started making props This is a guide to get you started making props I’ll be covering some. Duck Pond Bulletin Board Amanda Drew Resident Assistant Anna Maria College. Scratch Robots Catapult. Premium Quality Junk Modules Catapult – Step 1 Parts: - 8.5” x 11” cardboard - 4”x6” Foamie - 1 Starbucks. Stained Glass Windows. In medieval times, religion controlled daily life. Cathedrals were fancy churches. They were built to honor God. Each town wanted.